Michael Hinkelman/Staff. Adam Konigsberg started hand-painting silk. Now he uses digital printing. 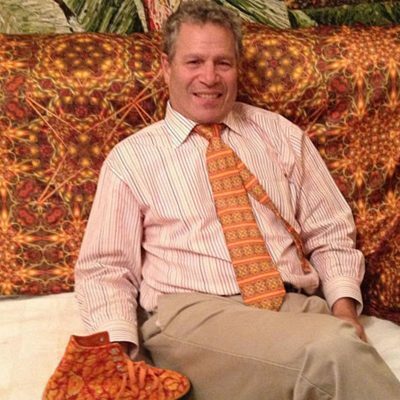 ADAM KONIGSBERG, 59, of Northern Liberties, is a designer who translates his own artwork into digital prints on wearable silk accessories, home decor, fashion footwear and related items. 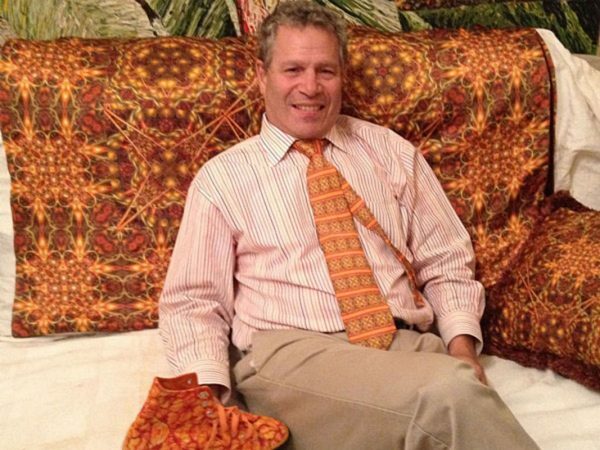 He is known for exotic florals and patterns on ties, women’s scarves and shawls, and throws and pillows. Q: How’d you come up with the idea for the biz? A: After hand-painting silks for a while, I decided it wasn’t logical. I knew digital printing was becoming cost-effective, and that’s how the business came to be, about six years ago. A: I’m self-financed. I guess it was about $50,000, and I also leveraged my house. Q: What’s the biz do? A: Most of my artwork is scanned, so it’s all digital. I use just the image itself, or manipulate the image in the computer to generate repeat patterns, or do what I call a hybrid of computer-generated art and my fine art to create unique images. You print on silks treated with a compound where you can literally run them through a printer. I sub the printing and sewing to a North Carolina firm. A: I sell via my website. A: Mostly professional women or socialites, some businessmen. Maybe 25 to 30 percent live in the U.S., and the rest are in London and Israel. Q: What differentiates you from other designers? A: They’re doing woven ties and scarves, and I’m doing print. They buy fabric designs from $350 to $500 and copyright. I personally do the artwork and the fabric design in-house. A: Scarves for women, shawls, throws and pillows. Scarves are $350 to $450; shawls are very large and retail from $1,200 to $1,500; home furnishings are in the $1,500 range. Q: How big a biz is this? A: I’m probably doing $25,000 to $30,000 a year. A: Money to hire people to help me. What I’ve found from prospective investors is that you need substantial sales because they’re so afraid of risk. They want everything in return, and I won’t sign away the rights to my artwork. A: I have a broker who’s working diligently with an Australian investor. He would fund several companies, including mine. Q: How would things change if the deal happens? A: I’d be able to bring on a management team immediately and set up trade shows for 2016. The focus would shift to a new product line and include fashion sneakers and accessories such as backpacks and messenger bags. We’ve already designed and manufactured sneaker prototypes. Once branded, we’d license the rights to my name and artwork. Adam Konigsberg – Master of Organic Sensual Imagery. 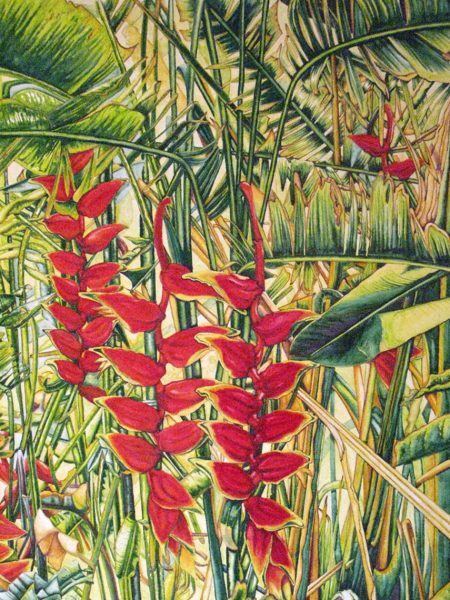 First Friday Opening & Artist Reception, April 1st, 5-9PM. Adam Konigsberg was born to the accomplished painter, Sylvia Blatt Konigsberg. She gave her son a box of paints and a canvas instead of age-appropriate coloring books and his exploration began. The Konigsberg home was frequented by artists of every genre. The constant presence of artist friends made an enduring impression on young Adam. By his junior year at the University of Pennsylvania, he began formal training and realized his intuitive talent; the moment was transformative. In the Graduate School of Fine Arts at Penn, Adam studied under artists of the American Realist Movement of the late 70’s and 80’s, including Neil Welliver, Alex Katz, Jack Beal to name a few of the people. He produced his first professional show in Palm Beach, Florida that first year. Adam’s first break-through painting Spring Flowers (1983), a watercolor on canvas, took over six weeks to complete. Adam became so attached to this piece that during the final two weeks of its creation, he actually slept in front of it. Then, he took the finished painting into the hallway of the studio, walked to the far end of the room, sat down and began to weep. Following graduation, Adam’s exhibits across the country established his work in many private and corporate collections. He continued to experiment with technique, from watercolor realist, to a splatter technique he calls “paint collages” using scrap paint otherwise destined for landfills. His first paint collages were about one to two inches in depth. It was around this time that Adam saw a friend’s hand painted silks and felt his own imagery would translate well to that medium. He immersed himself in the process of using dyes and learned how the silk fabrics interacted with the dyes. His understanding of the medium and — translations of the imagery evolved into uniquely moving works on silk. When Adam started showing his hand painted silks to boutique owners in the Philadelphia area, a new excitement exploded about this innovative artist. He appeared on Fox TV’s Good Day Philadelphia and started to build a following for his designs. He created hand painted ties and scarves as well as one-of-a-kind women’s dresses. Over the past few years, Adam has refined his technique to where he now can generate his designs in greater volume. Production costs and advances in digital printing have made it possible to deliver the highest quality reproduction to the breathtaking imagery of Adam Konigsberg’s Designs even when they are mass-produced. 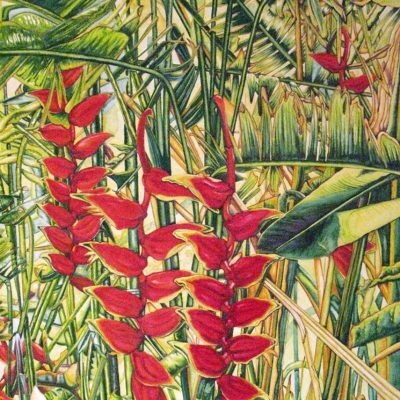 It all began with a sensitive artist with a gift for organic patterns. Adam Konigsberg’s imaginative forms are still evolving. © 2019 Adam Konigsberg Inc. All rights reserved.